- Chief Justice Francis Korkpor, Sr.
Liberia ( /laɪˈbɪəriə/), officially the Republic of Liberia, is a country on the West African coast. 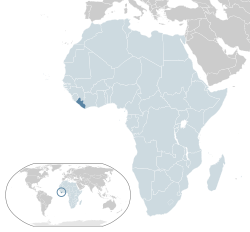 It is bordered by Sierra Leone to its west, Guinea to its north and Ivory Coast to its east, the Atlantic Ocean to its south. It covers an area of 111,369 square kilometers (43,000 sq mi) and has a population of around 4,700,000 people. English is the official language and over 20 indigenous languages are spoken, representing the numerous ethnic groups who make up more than 95% of the population. The country's capital and largest city is Monrovia. The Republic of Liberia began as a settlement of the American Colonization Society (ACS), who believed black people would face better chances for freedom and prosperity in Africa than in the United States. The country declared its independence on July 26, 1847. The U.S. did not recognize Liberia's independence until February 5, 1862, during the American Civil War. Between January 7, 1822, and the American Civil War, more than 15,000 freed and free-born black people who faced legislated limits in the U.S., and 3,198 Afro-Caribbeans, relocated to the settlement. The black settlers carried their culture and tradition with them to Liberia. The Liberian constitution and flag were modeled after those of the U.S. On January 3, 1848, Joseph Jenkins Roberts, a wealthy, free-born African American from Virginia who settled in Liberia, was elected as Liberia's first president after the people proclaimed independence. Liberia was the first African republic to proclaim its independence, and is Africa's first and oldest modern republic. Liberia retained its independence during the Scramble for Africa. During World War II, Liberia supported the United States war efforts against Germany and in turn, the U.S. invested in considerable infrastructure in Liberia to help its war effort, which also aided the country in modernizing and improving its major air transportation facilities. In addition, President William Tubman encouraged economic changes. Internationally, Liberia was a founding member of the League of Nations, United Nations and the Organisation of African Unity. The Americo-Liberian settlers did not relate well to the indigenous peoples they encountered, especially those in communities of the more isolated "bush". The colonial settlements were raided by the Kru and Grebo from their inland chiefdoms. Americo-Liberians developed as a small elite that held on to political power, and the indigenous tribesmen were excluded from birthright citizenship in their own lands until 1904, in a repetition of the United States' treatment of Native Americans. The Americo-Liberians promoted religious organizations to set up missions and schools to educate the indigenous peoples. Political tensions from the rule of William R. Tolbert resulted in a military coup in 1980 that overthrew his leadership soon after his death, marking the beginning of years-long political instability. Five years of military rule by the People's Redemption Council and five years of civilian rule by the National Democratic Party of Liberia were followed by the First and Second Liberian Civil Wars. These resulted in the deaths of 250,000 people (about 8% of the population), the displacement of many more and shrunk Liberia's economy by 90%. A peace agreement in 2003 led to democratic elections in 2005, in which Ellen Johnson Sirleaf was elected President. Recovery proceeds but about 85% of the population lives below the international poverty line. Liberia's economic and political stability was threatened in the 2010s by an Ebola virus epidemic; it originated in Guinea in December 2013, entered Liberia in March 2014, and was declared officially ended on May 8, 2015. The Pepper Coast, also known as the Grain Coast, has been inhabited by indigenous peoples of Africa at least as far back as the 12th century. Mende-speaking people expanded westward from the Sudan, forcing many smaller ethnic groups southward toward the Atlantic Ocean. The Dei, Bassa, Kru, Gola and Kissi were some of the earliest documented peoples in the area. This influx of these groups was compounded by the decline of the Western Sudanic Mali Empire in 1375 and the Songhai Empire in 1591. Liberia was a part of the Kingdom of Koya from 1450 to 1898. As inland regions underwent desertification, inhabitants moved to the wetter coast. These new inhabitants brought skills such as cotton spinning, cloth weaving, iron smelting, rice and sorghum cultivation, and social and political institutions from the Mali and Songhai empires. Shortly after the Mane conquered the region, the Vai people of the former Mali Empire immigrated into the Grand Cape Mount County region. The ethnic Kru opposed the influx of Vai, forming an alliance with the Mane to stop further influx of Vai. In the United States, there was a movement to resettle free-born blacks and freed slaves who faced racial discrimination in the form of political disenfranchisement, and the denial of civil, religious and social privileges in the United States. Most whites and later a small cadre of black nationalists believed that blacks would face better chances for freedom in Africa than in the U.S. The American Colonization Society was founded in 1816 in Washington, DC, for this purpose, by a group of prominent politicians and slaveholders, but its membership grew to include mostly people who supported the abolition of slavery. Slaveholders wanted to get free people of color out of the South, where they were thought to threaten the stability of the slave societies. Some abolitionists collaborated on the relocation of free blacks, as they were discouraged by racial discrimination against them in the North and believed they would never be accepted in the larger society. Most blacks, who were native-born by this time, wanted to work toward justice in the United States rather than emigrate. Leading activists in the North strongly opposed the ACS, but some free blacks were ready to try a different environment. In 1822, the American Colonization Society began sending black volunteers to the Pepper Coast to establish a colony for freed blacks. By 1867, the ACS (and state-related chapters) had assisted in the migration of more than 13,000 blacks to Liberia. These free African-Americans and their descendants married within their community and came to identify as Americo-Liberians. Many were of mixed race and educated in American culture; they did not identify with the indigenous natives of the tribes they encountered. They intermarried largely within the colonial community, developing an ethnic group that had a cultural tradition infused with American notions of political republicanism and Protestant Christianity. The ACS, the private organization supported by prominent American politicians such as Abraham Lincoln, Henry Clay, and James Monroe, believed repatriation of free African Americans was preferable to widespread emancipation of slaves. Similar state-based organizations established colonies in Mississippi-in-Africa and the Republic of Maryland, which were later annexed by Liberia. The Americo-Liberian settlers did not relate well to the indigenous peoples they encountered, especially those in communities of the more isolated "bush", They knew nothing of their cultures, languages or animist religion. Encounters with tribal Africans in the bush often developed as violent confrontations. The colonial settlements were raided by the Kru and Grebo from their inland chiefdoms. Because of feeling set apart and superior by their culture and education to the indigenous peoples, the Americo-Liberians developed as a small elite that held on to political power. It excluded the indigenous tribesmen from birthright citizenship in their own lands until 1904, in a repetition of the United States' treatment of Native Americans. Because of ethnocentrism and the cultural gap, the Americo-Liberians envisioned creating a western-style state to which the tribesmen should assimilate. They promoted religious organizations to set up missions and schools to educate the indigenous peoples. On July 26, 1847, the settlers issued a Declaration of Independence and promulgated a constitution. Based on the political principles denoted in the United States Constitution, it established the independent Republic of Liberia. The United Kingdom was the first country to recognize Liberia's independence. The leadership of the new nation consisted largely of the Americo-Liberians, who initially established political and economic dominance in the coastal areas that had been purchased by the ACS; they maintained relations with United States contacts in developing these areas and the resulting trade. Their passage of the 1865 Ports of Entry Act prohibited foreign commerce with the inland tribes, ostensibly to "encourage the growth of civilized values" before such trade was allowed in the region. By 1877, the Americo-Liberian True Whig Party was the most powerful political power in the country. It was made up primarily of people from the Americo-Liberian ethnic group, who maintained social, economic and political dominance well into the 20th century, repeating patterns of European colonists in other nations in Africa. Competition for office was usually contained within the party; a party nomination virtually ensured election. Pressure from the United Kingdom, which controlled Sierra Leone to the west, and France with its interests in the north and east led to a loss of Liberia's claims to extensive territories. Both Sierra Leone and the Ivory Coast annexed some territories. Liberia struggled to attract investment in order to develop infrastructure and a larger, industrial economy. There was a decline in production of Liberian goods in the late 19th century, and the government struggled financially, resulting in indebtedness on a series of international loans. On July 16, 1892, Martha Ann Erskine Ricks met Queen Victoria at Windsor Castle and presented her a hand made quilt, Liberia's first diplomatic gift. Born into slavery in Tennessee, Ricks stated, "I had heard it often, from the time I was a child, how good the Queen had been to my people – to slaves – and how she wanted us to be free." American and other international interests emphasized resource extraction, with rubber production a major industry in the early 20th century. In 1929 allegations of modern slavery in Liberia led the League of Nations to establish the Christy commission. Findings included government involvement in widespread "Forced or compulsory labour", minority ethnic groups especially were exploited in a system which enriched well connected elites within Liberia. As a result of the Christy report, President Charles D. B. King and Vice-president Allen N. Yancy both resigned. In the mid-20th century, Liberia gradually began to modernize with American assistance. During World War II, the United States made major infrastructure improvements to support its military efforts in Africa and Europe against the Nazis. It built the Freeport of Monrovia and Roberts International Airport under the Lend-Lease program before its entry into the Second World War. After the war, President William Tubman encouraged foreign investment in the country. Liberia had the second-highest rate of economic growth in the world during the 1950s. Liberia also began to take a more active role in international affairs. It was a founding member of the United Nations in 1945 and became a vocal critic of the South African apartheid regime. Liberia also served as a proponent both of African independence from the European colonial powers and of Pan-Africanism, and helped to fund the Organisation of African Unity. After Liberia adopted a new constitution in 1985, Doe was elected president in subsequent elections, which were internationally condemned as fraudulent. On November 12, 1985, a failed counter-coup was launched by Thomas Quiwonkpa, whose soldiers briefly occupied the national radio station. Government repression intensified in response, as Doe's troops retaliated by executing members of the Gio and Mano ethnic groups in Nimba County. The National Patriotic Front of Liberia, a rebel group led by Charles Taylor, launched an insurrection in December 1989 against Doe's government with the backing of neighboring countries such as Burkina Faso and Ivory Coast. This triggered the First Liberian Civil War. By September 1990, Doe's forces controlled only a small area just outside the capital, and Doe was captured and executed in that month by rebel forces. The subsequent 2005 elections were internationally regarded as the most free and fair in Liberian history. Ellen Johnson Sirleaf, a Harvard-trained economist and former Minister of Finance, was elected as the first female president in Africa. Upon her inauguration, Sirleaf requested the extradition of Taylor from Nigeria and transferred him to the SCSL for trial in The Hague. Liberia's main northwestern boundary is traversed by the Mano River while its southeast limits are bounded by the Cavalla River. Liberia's three largest rivers are St. Paul exiting near Monrovia, the river St. John at Buchanan and the Cestos River, all of which flow into the Atlantic. The Cavalla is the longest river in the nation at 515 kilometers (320 mi). Liberia is a global biodiversity hotspot – a significant reservoir of biodiversity that is under threat from humans. Illegal logging has increased in Liberia since the end of the Second Civil War in 2003. In 2012, President Ellen Johnson Sirleaf granted licenses to companies to cut down 58% of all the primary rainforest left in Liberia. After international protests, many of those logging permits were canceled. Liberia and Norway struck an agreement in September 2014 whereby Liberia ceases all logging in exchange for $150 million in development aid. Corruption is endemic at every level of the Liberian government. When President Sirleaf took office in 2006, she announced that corruption was "the major public enemy." In 2014, the US ambassador to Liberia stated that corruption there was harming people through "unnecessary costs to products and services that are already difficult for many Liberians to afford". Liberia scored a 3.3 on a scale from 10 (highly clean) to 0 (highly corrupt) on the 2010 Corruption Perceptions Index. This gave it a ranking 87th of 178 countries worldwide and 11th of 47 in Sub-Saharan Africa. This score did, however, represent a significant improvement since 2007, when the country scored 2.1 and ranked 150th of 180 countries. When dealing with public-facing government functionaries 89% of Liberians say they have had to pay a bribe, the highest national percentage in the world according to the organization's 2010 Global Corruption Barometer. The Armed Forces of Liberia (AFL) are the armed forces of the Republic of Liberia. Founded as the Liberian Frontier Force in 1908, the military was retitled in 1956. For virtually all of its history, the AFL has received considerable material and training assistance from the United States. For most of the 1941–89 period, training was largely provided by U.S. advisers. After the UN Security Council Resolution 1509 of September 2003, the United Nations Mission in Liberia arrived to referee the ceasefire with units from Ghana, Nigeria, Pakistan, and China with the view to assist the National Transitional Government of Liberia in forming the new Liberian military. In the past, both of Liberia's neighbors, Guinea and Sierra Leone, have accused Liberia of backing rebels inside their countries. The Liberian National Police are the national police force of the country. It has 844 officers in 33 stations in Montserrado County, which contains the capital Monrovia, as of October 2007. The National Police Training Academy is in Montserrado County in Paynesville City. A history of corruption among the police officers diminishes the public trust and operational effectiveness. The internal security is characterized by a general lawlessness coupled with the danger that former combatants in the late civil war might reestablish militias to challenge the civil authorities. The Central Bank of Liberia is responsible for printing and maintaining the Liberian dollar, which is the primary form of currency in Liberia. 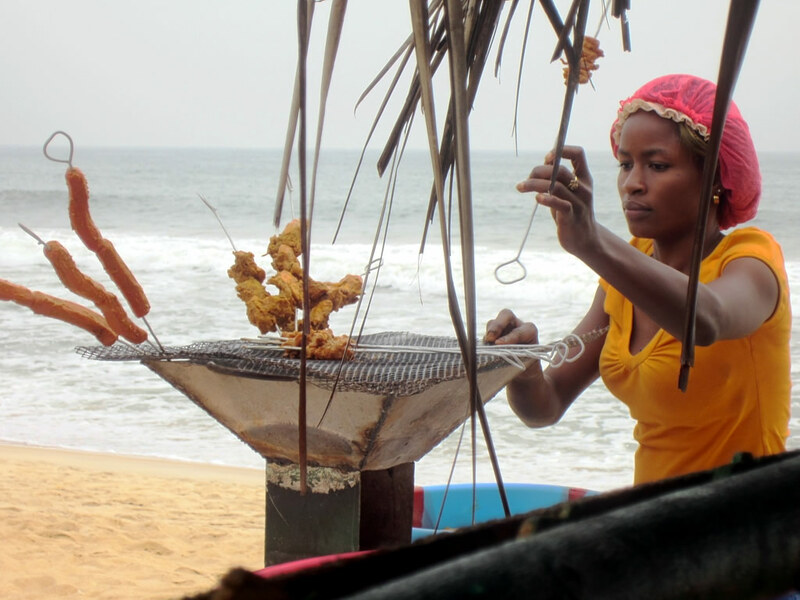 Liberia is one of the world's poorest countries, with a formal employment rate of 15%. GDP per capita peaked in 1980 at US$496, when it was comparable to Egypt's (at the time). In 2011, the country's nominal GDP was US$1.154 billion, while nominal GDP per capita stood at US$297, the third-lowest in the world. Historically, the Liberian economy has depended heavily on foreign aid, foreign direct investment and exports of natural resources such as iron ore, rubber, and timber. Liberia has the highest ratio of foreign direct investment to GDP in the world, with US$16 billion in investment since 2006. Following the inauguration of the Sirleaf administration in 2006, Liberia signed several multibillion-dollar concession agreements in the iron ore and palm oil industries with numerous multinational corporations, including BHP Billiton, ArcelorMittal, and Sime Darby. Especially palm oil companies like Sime Darby (Malaysia) and Golden Veroleum (USA) are being accused by critics of the destruction of livelihoods and the displacement of local communities, enabled through government concessions. The Firestone Tire and Rubber Company has operated the world's largest rubber plantation in Harbel, Margibi County since 1926 with more than 8,000 mostly Liberian employees in 2015, making Firestone Liberia the largest private employer in Liberia. Due to its status as a flag of convenience, Liberia has the second-largest maritime registry in the world behind Panama. It has 3500 vessels registered under its flag accounting for 11% of ships worldwide. Prior to the 2008 census, the last census had been held in 1984 and listed the country's population as 2,101,628. The population of Liberia was 1,016,443 in 1962 and increased to 1,503,368 in 1974. As of 2006, Liberia has the highest population growth rate in the world (4.50% per annum). In 2010 some 43.5% of Liberians were below the age of 15. Numerous immigrants have come as merchants and become a major part of the business community, including Lebanese, Indians, and other West African nationals. 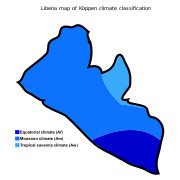 There is a high percentage of interracial marriage between ethnic Liberians and the Lebanese, resulting in a significant mixed-race population especially in and around Monrovia. A small minority of Liberians who are White Africans of European descent reside in the country. The Liberian constitution restricts citizenship to people of African descent. Muslims comprise 12.2% of the population, largely represented by the Mandingo and Vai ethnic groups. Sunnis, Shias, Ahmadiyyas, Sufis, and non-denominational Muslims constitute the bulk of the Liberian Muslims. In 2014, an outbreak of Ebola virus in Guinea spread to Liberia. As of November 17, 2014, there were 2,812 confirmed deaths from the ongoing outbreak. In early August 2014 Guinea closed its borders to Liberia to help contain the spread of the virus, as more new cases were being reported in Liberia than in Guinea. On May 9, 2015, Liberia was declared Ebola free after six weeks with no new cases. The most popular sport in Liberia is association football, with President George Weah — the only African to be named FIFA World Player of the Year — being the nation's most famous athlete. The Liberia national football team has reached the Africa Cup of Nations twice, in 1996 and 2002. In the United States, the Omnibus Foreign Trade and Competitiveness Act amended the Metric Conversion Act of 1975 and designated the metric system as "the Preferred system of weights and measures for United States trade and commerce", but is mixed in consumer usage, with the population generally preferring customary units and industries either fully metric or mixed. The Liberian government has begun transitioning away from use of United States Customary Units to the metric system. However, this change has been gradual, with government reports concurrently using both United States Customary and metric units. ^ Lewis, M. Paul; Simons, Gary F.; Fennig, Charles D., eds (2015). "Liberia". Dallas, Texas: SIL International. http://www.ethnologue.com/country/lr/languages. ^ a b c d e f g h i j "Liberia". The World Factbook. Central Intelligence Agency. https://www.cia.gov/library/publications/the-world-factbook/geos/li.html. ^ "Liberia". The World Bank country page for Liberia. The World Bank. 2015. http://www.worldbank.org/en/country/liberia. Retrieved September 4, 2014. ^ a b c d e "Liberia". International Monetary Fund. http://www.imf.org/external/pubs/ft/weo/2016/02/weodata/weorept.aspx?pr.x=98&pr.y=20&sy=2014&ey=2021&scsm=1&ssd=1&sort=country&ds=.&br=1&c=668&s=NGDPD%2CNGDPDPC%2CPPPGDP%2CPPPPC&grp=0&a=. ^ "GINI index". World Bank. http://data.worldbank.org/indicator/SI.POV.GINI?page=1. Retrieved August 14, 2015. ^ "2016 Human Development Report". United Nations Development Programme. 2016. http://hdr.undp.org/sites/default/files/2016_human_development_report.pdf. Retrieved March 21, 2017. ^ "Central African Republic". http://www.worldometers.info/world-population/central-african-republic-population/. Retrieved 19 March 2018. ^ a b c U.S. State Department. "Liberia". https://www.state.gov/r/pa/ei/bgn/6618.htm. ^ "Praise for the woman who put Liberia back on its feet". The Economist. October 5, 2017. https://www.economist.com/news/leaders/21730015-ellen-johnson-sirleaf-has-not-been-perfect-president-she-has-been-good-enough-praise. ^ "Help in the time of Ebola". September 20, 2014. https://www.economist.com/news/middle-east-and-africa/21618909-there-scramble-control-runaway-epidemic-help-time-ebola. Retrieved October 3, 2014. ^ "Ebola in west Africa". May 9, 2015. https://www.economist.com/news/middle-east-and-africa/21650584-wonderful-news-liberia-after-plague. Retrieved May 10, 2015. ^ "WHO – Latest Ebola outbreak over in Liberia; West Africa is at zero, but new flare-ups are likely to occur". World Health Organization. http://who.int/mediacentre/news/releases/2016/ebola-zero-liberia/en/. Retrieved January 14, 2016. ^ a b (April 2005) "Liberians: An Introduction to their History and Culture" (PDF). Culture Profile (19): 5–6. Retrieved on July 23, 2011. ^ "The African-American Mosaic". https://www.loc.gov/exhibits/african/afam002.html. Retrieved March 31, 2015. ^ Wegmann, Andrew N (May 5, 2010). "Christian Community and the Development of an Americo-Liberian Identity, 1824–1878". Louisiana State University. Archived from the original on June 30, 2010. https://web.archive.org/web/20100630111501/http://etd.lsu.edu/docs/available/etd-06092010-200522/. ^ a b Johnston, Harry Hamilton; Stapf, Otto (1906). Liberia, Volume I. Hutchinson & Co,. ISBN 1-143-31505-7. https://books.google.com/books?id=XTYbAAAAYAAJ&printsec=frontcover. ^ Adekeye Adebajo (2002). "Liberia's Civil War: Nigeria, ECOMOG, and Regional Security in West Africa". International Peace Academy. p. 21. ISBN 1588260526. ^ a b c Pike, John (1985). "The True Whig Ascendancy". Global Security. http://www.globalsecurity.org/military/library/report/1985/liberia_1_truewhigascend.htm. Retrieved July 23, 2011. ^ John Pike (1985). "Lost Territories". Global Security. http://www.globalsecurity.org/military/library/report/1985/liberia_1_lostterr.htm. Retrieved July 23, 2011. ^ John Pike (1985). "Lost Markets and Economic Decline". Global Security. http://www.globalsecurity.org/military/library/report/1985/liberia_1_lostmarkets.htm. Retrieved July 23, 2011. ^ Robert Jefferson Norrell (January 1, 2009). Up from History: The Life of Booker T. Washington. Harvard University Press. pp. 374–375. ISBN 978-0-674-03211-8. https://books.google.com/books?id=aRvXOr7atbMC&pg=PA374. Rosenberg, Emily S. (June 1, 2007). "The Invisible Protectorate: The United States, Liberia, and the Evolution of Neocolonialism, 1909–40". Diplomatic History 9 (3): 191–214. DOI:10.1111/j.1467-7709.1985.tb00532.x. ^ Christy, Cuthbert (15 December 1930). "COMMISSION’S REPORT: INTERNATIONAL COMMISSION OF ENQUIRY IN LIBERIA". LEAGUE OF NATIONS: 127. ^ Van der Kraaij, Fred PM. "President Charles D.B. King". http://www.liberiapastandpresent.org/1926FirestoneCA.htm. Retrieved February 5, 2018. ^ a b (1964) "Liberia's Open Door Policy". The Journal of Modern African Studies 2 (1): 91–98. DOI:10.1017/s0022278x00003694. ^ (July 2008) "Pan-Africanism Revisited: Vision and Reality of African Unity and Development". African Review of Integration 2 (2). Retrieved on July 20, 2011. ^ a b c d Anjali Mitter Duva (2002). "Liberia and the United States: A Complex Relationship". PBS. https://www.pbs.org/wgbh/globalconnections/liberia/essays/uspolicy/. Retrieved July 20, 2011. ^ a b staff writers (November 25, 1985). "LIBERIA Comrades Turned Enemies". Time. http://www.time.com/time/magazine/article/0,9171,1050633,00.html. Retrieved July 22, 2011. ^ a b "Indepth: Liberia, Land of the free". CBC News. July 23, 2009. Archived from the original on September 8, 2013. https://web.archive.org/web/20130908174543/http://www.cbc.ca/news/background/liberia/. ^ "Profile: Leymah Gbowee—Liberia's 'peace warrior'". BBC News. October 7, 2011. https://www.bbc.co.uk/news/world-africa-15215312. Retrieved October 20, 2011. ^ "Liberian rebels sign peace deal". The Guardian. August 19, 2003. https://www.theguardian.com/world/2003/aug/19/westafrica. Retrieved July 23, 2011. ^ "Bryant takes power in Liberia". The Guardian. October 14, 2003. https://www.theguardian.com/world/2003/oct/14/westafrica. Retrieved July 23, 2011. ^ a b c d e f "Freedom in the World 2011 – Liberia". Freedom House. UNHCR. July 7, 2011. http://www.unhcr.org/refworld/docid/4e16b8f91a.html. Retrieved July 22, 2011. ^ "Taylor Sent Off to Face War Crimes Charges". AFP. UNMIL. March 29, 2006. Archived from the original on October 5, 2011. https://web.archive.org/web/20111005100159/http://unmil.org/1article.asp?id=1157&zdoc=1. Retrieved July 23, 2011. ^ "LIBERIA: War-battered nation launches truth commission". IRIN Africa. http://www.irinnews.org/report.aspx?reportid=58220. Retrieved May 16, 2008. ^ a b c d e f "2008 National Population and Housing Census: Preliminary Results". Government of the Republic of Liberia. 2008. http://www.emansion.gov.lr/doc/census_2008provisionalresults.pdf. Retrieved October 14, 2008. ^ "Liberia cannot afford local polls". BBC News. January 14, 2008. http://news.bbc.co.uk/2/hi/7187906.stm. ^ KIEH, JR., GEORGE KLAY. [1.pdf "THE MODEL CITY STATUTE FOR THE LIBERIAN CITY"]. GOVERNANCE COMMISSION OF THE REPUBLIC OF LIBERIA. http://governancecommissionlr.org/pg_img/THE_STATUTE_FOR_THE_MODEL_LIBERIAN_CITY.pdf. Retrieved 20 July 2018. 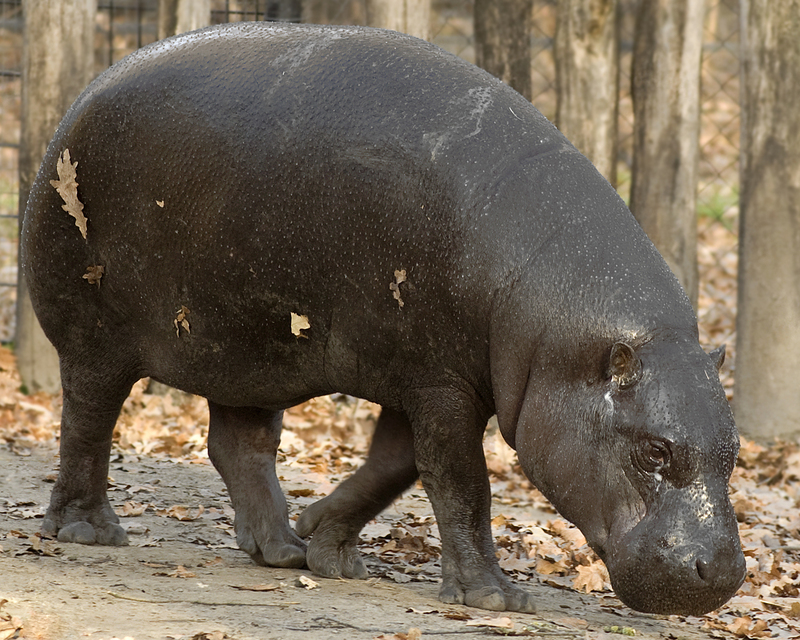 ^ Template:IUCN2008 Database entry includes a brief justification of why this species is of endangered. ^ a b c d e McGrath, Matt (September 23, 2014). "Liberia in 'trees for cash' deal". https://www.bbc.com/news/science-environment-29321143. ^ a b "Restoring the Battered and Broken Environment of Liberia One of the Keys to a New and Sustainable Future" Script error, United Nations Environment Program, February 13, 2014. ^ "IDA - Liberia: Digging Out Monrovia from the Waste of War". http://web.worldbank.org/WBSITE/EXTERNAL/EXTABOUTUS/IDA/0,,contentMDK:22301640~menuPK:4754051~pagePK:51236175~piPK:437394~theSitePK:73154,00.html. ^ a b c "Background Note: Liberia". Bureau of African Affairs. United States Department of State. March 8, 2011. https://www.state.gov/r/pa/ei/bgn/6618.htm. ^ "2010 Human Rights Report: Liberia". US Department of State. https://www.state.gov/j/drl/rls/hrrpt/2010/af/154354.htm. Retrieved January 10, 2013. ^ ""Liberia: Corruption Is Liberia's Problem, US Ambassador to Liberia Alarms", Al-Varney Rogers, allAfrica, 21 February 2014.". allAfrica.com. http://allafrica.com/stories/201402211033.html. Retrieved October 17, 2014. ^ Moumouni, Guillaume. (April 2014). "China and Liberia: Engagement in a Post-Conflict Country 2003–2013". Global Powers and Africa Programme. Paper No. 182. Johannesburg, South Africa: The South African Institute of International Affairs (SAIIA). p. 8. ^ Moumouni, Guillaume. (2018). "China and Liberia: Engagement in a Post-Conflict Country (2003–2013)". In: Alden C., Alao A., Chun Z., Barber L. (eds) China and Africa. Palgrave Macmillan, Chamin. pp. 225-251. Online ISBN 978-3-319-52893-9. Springer Link website https://doi.org/10.1007/978-3-319-52893-9_12 Retrieved 7 December 2017. ^ "Montserrado County Development Agenda". Republic of Liberia. 2008. http://www.emansion.gov.lr/doc/MontserradoCDA.pdf. Retrieved October 14, 2008. ^ Crane, Keith; Gompert, David C ; Oliker, Olga ; Riley, Kevin Jack ; and Lawson, Brooke Stearns. (2007). Making Liberia safe : transformation of the national security sector. Santa Monica, CA : Rand. pp. 9-11. ISBN 9780833040084. Rand Corp website Retrieved 7 December 2017. ^ a b Schoenurl, John W. (August 11, 2003). "Liberian shipping draws scrutiny". msnbc.com. http://www.msnbc.msn.com/id/3072983/t/liberian-shipping-draws-scrutiny/. ^ a b "About the Liberian Registry". Liberian Registry. Archived from the original on November 10, 2014. https://web.archive.org/web/20141110180209/http://www.liscr.com/liscr/AboutUs/AboutLiberianRegistry/tabid/206/Default.aspx. ^ "GDP per capita (current US$) |Data |Graph". Data.worldbank.org. 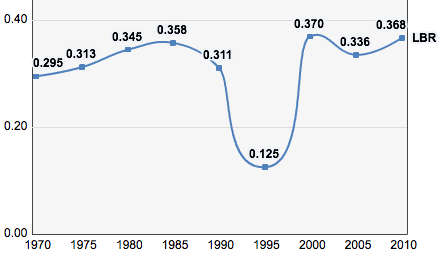 http://data.worldbank.org/indicator/NY.GDP.PCAP.CD/countries/LR-EG?display=graph. Retrieved March 26, 2013. ^ a b c "The Challenges of Post-War Reconstruction—the Liberian Experience". Government of Liberia. allAfrica.com. June 13, 2011. http://allafrica.com/stories/201106140356.html. ^ a b "Liberian President: Government and People are Partners in Progress". Africa Governance Initiative. January 27, 2011. Archived from the original on December 20, 2016. https://web.archive.org/web/20161220103119/http://www.africagovernance.org/article/liberian-president-government-and-people-are-partners-progress. ^ "Second Quarter 2010/2011 Public Debt Management Report". Debt Management Unit. Ministry of Finance. March 25, 2011. Archived from the original on September 10, 2013. https://web.archive.org/web/20130910014431/http://mof.gov.lr/doc/2nd%20Qrt%20Debt%20Management%20Report.pdf. ^ "CBC News Indepth: Liberia". CBC News. March 29, 2006. Archived from the original on September 8, 2013. https://web.archive.org/web/20130908174543/http://www.cbc.ca/news/background/liberia/. ^ "Liberia restarts diamond industry". USA Today. May 1, 2007. https://www.usatoday.com/news/world/2007-05-01-liberia_N.htm. ^ "Palm oil industry accused of land grabs in Liberia". globalpost.com. December 27, 2012. http://www.globalpost.com/dispatches/globalpost-blogs/rights/palm-oil-companys-deal-liberia-sparks-controversy. ^ "Firestone and Liberia – Company History". Firestone Natural Rubber Company. Archived from the original on June 12, 2011. https://web.archive.org/web/20110612171553/http://www.firestonenaturalrubber.com/company_history.htm. ^ "PPIAF Supports Telecommunications Reform and Liberalization in Liberia". Public-Private Infrastructure Facility (PPIAF). July 2011. http://www.ppiaf.org/sites/ppiaf.org/files/publication/PPIAF-Impact-Stories-Reforming-Liberia-Telecom-Sector.pdf. Retrieved September 3, 2011. ^ "Introduction to Communication and Development in Liberia", AudienceScapes. Retrieved February 8, 2014. ^ a b "Options for the Development of Liberia's Energy Sector". International Bank for Reconstruction and Development. World Bank Group. 2011. http://siteresources.worldbank.org/EXTAFRREGTOPENERGY/Resources/717305-1266613906108/Liberia_Energy_ESW_11-4-11web.pdf. ^ "Liberia: Massive Electrification Boost". 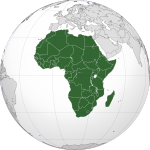 allAfrica.com. November 27, 2013. http://allafrica.com/stories/201311280681.html. ^ Teh, Joe (July 30, 2013). "Behind The Power Switch in Nimba, An optimism for Vibrant Economy". The News Pinnacle. http://cmiliberia.org/blog/2013/07/30/behind-the-power-switch-in-nimba-an-optimism-for-vibtant-economy/. ^ "Liberia may have over 1 bln barrels in oil resources". Reuters Africa. November 3, 2009. https://af.reuters.com/article/southAfricaNews/idAFWEA839820091103. ^ "Third Liberian Offshore Petroleum Licensing Round 2009". Deloitte Petroleum Services. Deloitte. August 27, 2009. Archived from the original on November 4, 2013. https://web.archive.org/web/20131104072748/https://www.psg.deloitte.com/NewsLicensingRounds_LR_0909.asp. ^ Toweh, Alphonso (July 21, 2011). "Liberia marks out new oil blocks, auction seen soon". Reuters. https://af.reuters.com/article/topNews/idAFJOE76K01J20110721?sp=true. Retrieved August 22, 2011. ^ Konneh, Ansu (August 30, 2010). "Chevron, Liberia Sign Deepwater Offshore Exploration Agreement". Bloomberg News. https://www.bloomberg.com/news/2010-08-30/chevron-liberia-sign-deepwater-offshore-exploration-agreement.html. ^ Liberia Institute of Statistics and Geo-Information Services (May 2009). "2008 National Population and Housing Census Final Results: Population by County". 2017 Population and Housing Census. Republic of Liberia. http://www.emansion.gov.lr/doc/Population_by_County.pdf. Retrieved June 10, 2009. ^ a b c Liberia Institute of Statistics and Geo-Information Services (May 2009). "2008 National Population and Housing Census Final Results: Population by County". 2008 Population and Housing Census. Republic of Liberia. http://www.emansion.gov.lr/doc/Population_by_County.pdf. Retrieved June 10, 2009. ^ Fiske, Alan. "Kpelle". http://www.sscnet.ucla.edu/anthro/faculty/fiske/135b/kpelle.htm. ^ "Liberia's Ugly Past: Re-writing Liberian History". Theperspective.org. http://www.theperspective.org/rewriting_history.html. Retrieved January 3, 2010. ^ "Lebanese demand Liberia poll rights". BBC News. July 22, 2005. http://news.bbc.co.uk/2/hi/africa/4703029.stm. ^ "Languages of Liberia". Ethnologue. 2009. Archived from the original on October 18, 2011. https://web.archive.org/web/20111018114601/http://www.ethnologue.com/show_country.asp?name=Liberia. Retrieved July 22, 2011. ^ "Religions in Liberia - PEW-GRF". http://www.globalreligiousfutures.org/countries/liberia#/?affiliations_religion_id=0&affiliations_year=2010&region_name=All+Countries&restrictions_year=2015. ^ "2008 Population and Housing Census: Final Results" (PDF). Liberia Institute of Statistics and Geo-Information Services. May 2009. p. A4-84. https://www.lisgis.net/pg_img/NPHC%202008%20Final%20Report.pdf. Retrieved 21 April 2018. ^ a b c "International Religious Freedom Report 2010: Liberia". United States Department of State. November 17, 2010. https://www.state.gov/g/drl/rls/irf/2010/148698.htm. Retrieved July 22, 2011. ^ "Education profile – Liberia". Institute for Statistics. UNESCO. 2010. http://stats.uis.unesco.org/unesco/TableViewer/document.aspx?ReportId=121&IF_Language=eng&BR_Country=4300&BR_Region=40540. Retrieved July 20, 2011. ^ "LIBERIA: Go to school or go to jail". IRN. UN Office for the Coordination of Humanitarian Affairs. September 21, 2007. http://www.irinnews.org/Report.aspx?ReportId=74422. Retrieved April 8, 2009. ^ Trawally, Sidiki; Reeves, Derek (2009). "Making Quality Education Affordable And Assessable To All—Prez. Sirleaf's Vision With Passion". Lift Liberia. Archived from the original on May 12, 2013. https://web.archive.org/web/20130512060404/http://www.liftliberia.gov.lr/press.php?news_id=100&related=Press%20Release. Retrieved July 20, 2011. ^ "July 26 Celebrations Kick Off in Lofa As President Sirleaf Arrives". The Executive Mansion. July 25, 2011. Archived from the original on October 4, 2011. https://web.archive.org/web/20111004060405/http://www.emansion.gov.lr/press.php?news_id=1951. Retrieved August 29, 2013. ^ "CIA World Factbook: Life Expectancy ranks". CIA. https://www.cia.gov/library/publications/the-world-factbook/rankorder/2102rank.html?countryName=Guyana&countryCode=gy&regionCode=soa&rank=159#gy. Retrieved April 26, 2012. ^ "Data: Prevalence of HIV, total (% of population ages 15–49)". The World Bank. http://data.worldbank.org/indicator/SH.DYN.AIDS.ZS/countries. Retrieved February 23, 2011. ^ a b "Liberia: Health profile". World Health Organization. http://www.who.int/gho/countries/lbr.pdf. Retrieved February 23, 2011. ^ "Female genital mutilation (FGM)". World Health Organization. http://www.who.int/reproductivehealth/topics/fgm/prevalence/en/. ^ "Liberia: Nurtitional "crisis" in Monrovia". Integrated Regional Information Networks. UN Office for the Coordination of Humanitarian Affairs. http://www.irinnews.org/IndepthMain.aspx?InDepthID=72&ReportID=77811. Retrieved February 24, 2011. ^ "Data: Malnutrition prevalence, weight for age (% of children under 5). The". World Bank. http://data.worldbank.org/indicator/SH.STA.MALN.ZS/countries. Retrieved February 23, 2011. ^ "Data: Improved sanitation facilities (% of population with access)". The World Bank. http://data.worldbank.org/indicator/SH.STA.ACSN/countries. Retrieved February 23, 2011. ^ "Liberia: Breathing Life into ailing healthcare system". Integrated Regional Information Networks. UN Office for the Coordination of Humanitarian Affairs. http://www.irinnews.org/report.aspx?reportid=60788. Retrieved February 24, 2011. ^ "Data: Health expenditure per capita (current US$)". World Bank. http://data.worldbank.org/indicator/SH.XPD.PCAP/countries. Retrieved February 23, 2011. ^ "Data: Health expenditure, total (% of GDP)". World Bank. http://data.worldbank.org/indicator/SH.XPD.TOTL.ZS/countries. Retrieved February 23, 2011. ^ Toweh, Alphonso (March 30, 2014). "Liberian health authorities confirm two cases of Ebola: WHO". Reuters. https://www.reuters.com/article/2014/03/30/us-liberia-ebola-idUSBREA2T0ON20140330. Retrieved March 30, 2014. ^ "How Liberia (Might Have) Beat Ebola". The Daily Beast. http://www.thedailybeast.com/articles/2014/11/17/how-liberia-might-have-beat-ebola.html. Retrieved November 17, 2014. ^ "Wonderful News Liberia after plague". https://www.economist.com/news/middle-east-and-africa/21650584-wonderful-news-liberia-after-plague. Retrieved May 11, 2015. ^ "State Sponsored Homophobia 2016: A world survey of sexual orientation laws: criminalisation, protection and recognition". International Lesbian, Gay, Bisexual, Trans and Intersex Association. May 17, 2016. http://ilga.org/downloads/02_ILGA_State_Sponsored_Homophobia_2016_ENG_WEB_150516.pdf. ^ Wiltz, Teresa (December 2, 2010). "Liberia: War-Weary, With Echoes of Old Dixie". The Root. Archived from the original on September 1, 2011. https://web.archive.org/web/20110901031105/http://www.theroot.com/views/liberia-war-weary-echoes-old-dixie. Retrieved July 23, 2011. ^ "Monrovia—Masonic Grand Lodge". Global Security. http://www.globalsecurity.org/military/world/liberia/monrovia-mason.htm. Retrieved July 23, 2011. ^ "Martha Ricks". National Portrait Gallery. http://www.npg.org.uk/live/search/portrait.asp?LinkID=mp63618&rNo=0&role=sit. Retrieved December 12, 2008. ^ "Liberia: It's the Little Things—A Reflection on Ellen Johnson Sirleaf's Journey to the Presidency". allAfrica.com. http://allafrica.com/stories/200603240593.html?page=2. Retrieved May 16, 2008. ^ Doe, J. Kpanneh (October 31, 2000). "Baa Salaka: Sacrificial Lamb – A Book Review & Commentary". The Perspective. http://www.theperspective.org/bookreview.html. Retrieved July 23, 2011. ^ "Celtnet Liberian Recipes and Cookery". Celtnet Recipes. Archived from the original on September 3, 2011. https://web.archive.org/web/20110903234346/http://www.celtnet.org.uk/recipes/liberia.php. Retrieved July 23, 2011. ^ "Liberia". Food in Every Country. http://www.foodbycountry.com/Kazakhstan-to-South-Africa/Liberia.html. Retrieved August 27, 2013. ^ "Liberia:Chaos Mars Grand Bassa and Nimba Clash". All Africa. January 21, 2012. http://allafrica.com/stories/201401211272.html. Retrieved October 9, 2016. ^ "CIA The World Factbook". Appendix G: Weights and Measures. US Central Intelligence Agency. 2010. https://www.cia.gov/library/publications/the-world-factbook/appendix/appendix-g.html. Retrieved April 24, 2010. ^ Wilcox, Michael D., Jr. Department of Agricultural Economics University of Tennessee (2008). "Reforming Cocoa and Coffee Marketing in Liberia". Presentation and Policy Brief. University of Tennessee. Archived from the original on June 24, 2010. https://web.archive.org/web/20100624032539/http://trend.ag.utk.edu/international/ReformingCocoaCoffeeMarketingLiberia.pdf. Retrieved April 25, 2010. ^ Government of Liberia (2008). "County Development Agendas". Government of the Republic of Liberia. Archived from the original on January 14, 2010. https://web.archive.org/web/20100114003713/http://www.emansion.gov.lr/content.php?sub=County%20Development%20Agendas&related=CDAs. Retrieved May 1, 2010. ^ Shannon, Eugene H. (December 31, 2009). "Annual report". Annual report. Liberian Ministry of Lands, Mines and Energy. http://www.molme.gov.lr/doc/Microsoft%20Word%20-%20Annual%20Report%20Jan%201%20-%20Dec%2031%202009.pdf. Retrieved May 1, 2010. Kraaij, Fred; van der (2015). Liberia : From the Love of Liberty to Paradise Lost. African Studies Centre, Leiden. ISBN 978-90-54481447. https://openaccess.leidenuniv.nl/handle/1887/33835. This page uses content from the English language Wikipedia. The original content was at Liberia. The list of authors can be seen in the page history. As with this Familypedia wiki, the content of Wikipedia is available under the Creative Commons License.